Being influenced by the news, Eurodollar has extended its ascending structure, returned to level of 1.1000, and right now is expected to fall. 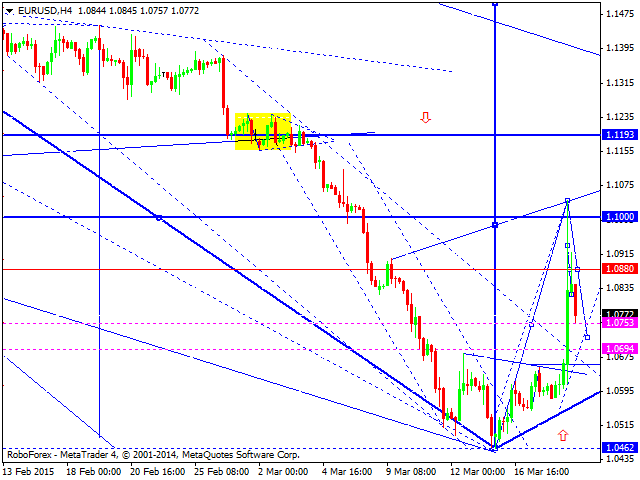 We think, today the price may reach level of 1.0700, thus forming a consolidation channel. If the market breaks this channel upwards and reaches yesterday’s highs, the current correction may continue; if downwards – reach new lows and continue falling inside the downtrend. Being influenced by the news, Pound has extended its ascending wave and right now is falling. 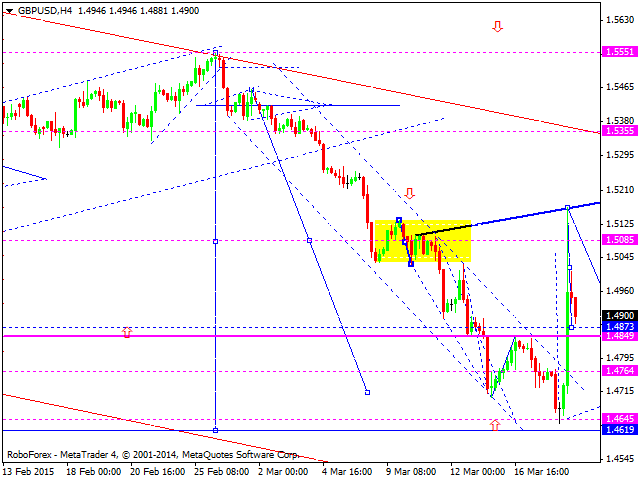 We think, today the price may reach level of 1.4760, thus forming a consolidation channel. If the market breaks this channel upwards, and ascending correction may continue; if downwards – reach new lows. Being influenced by the news, Franc has formed a descending impulse and right now is growing. We think, today the price may return to level of 1.0060, or even reach new highs. Later, in our opinion, the market may resume falling towards level of 0.9250. Being influenced by the news, Yen has finished a descending wave and right now is moving upwards. 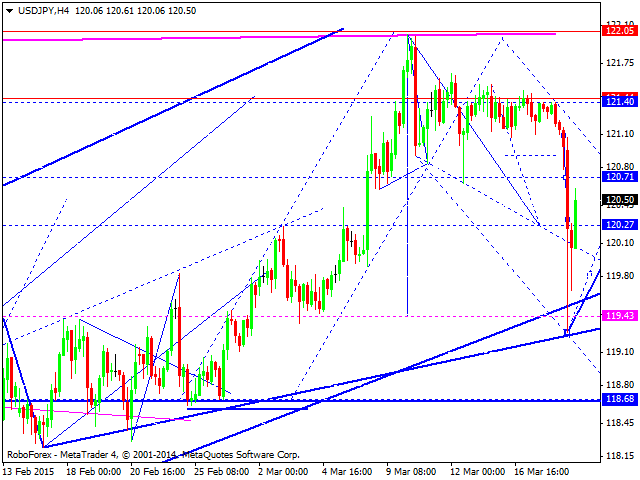 We think, today the price may return to level of 121.40, or even extend this structure towards level of 123.00. Later, in our opinion, the market may resume falling inside the downtrend. 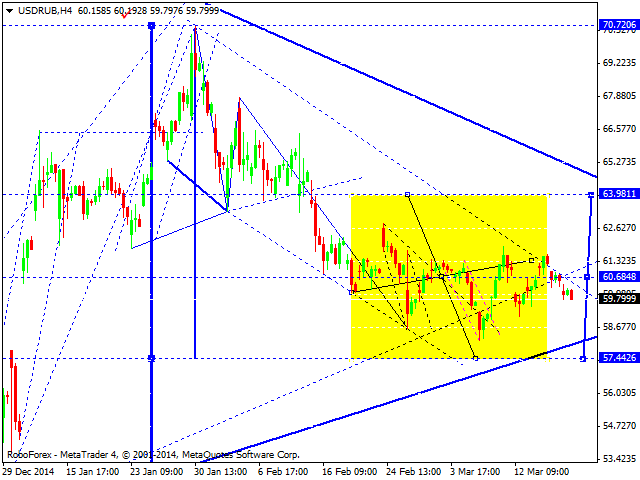 Being influenced by the news, Australian Dollar has completed its ascending wave and right now is moving downwards. 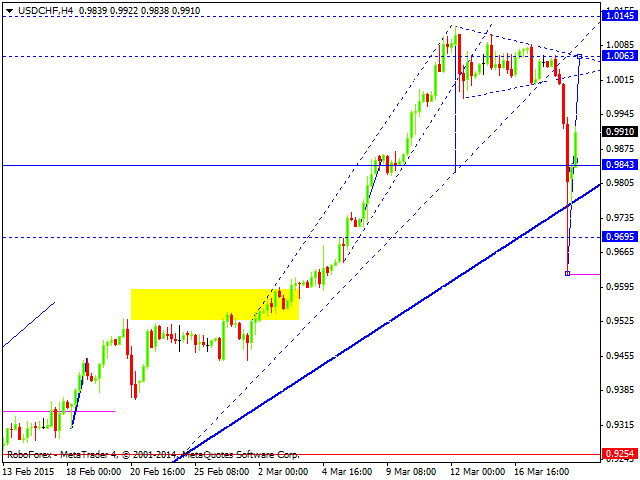 We think, today the price may reach level of 0.7650, thus forming a consolidation channel. 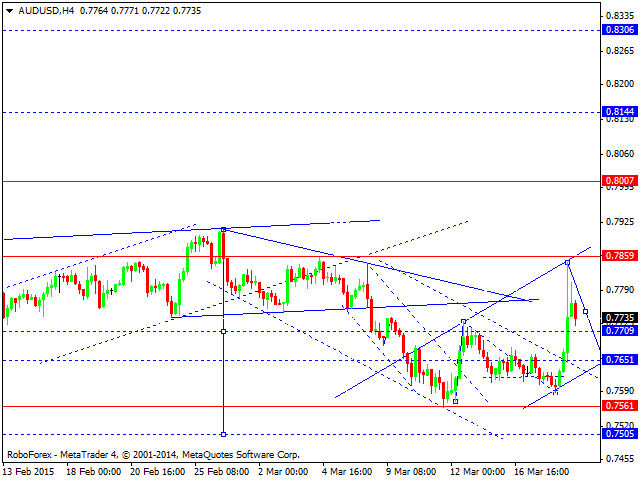 If the market breaks this channel upwards, an ascending correction may continue; if downwards – reach level of 0.7510. 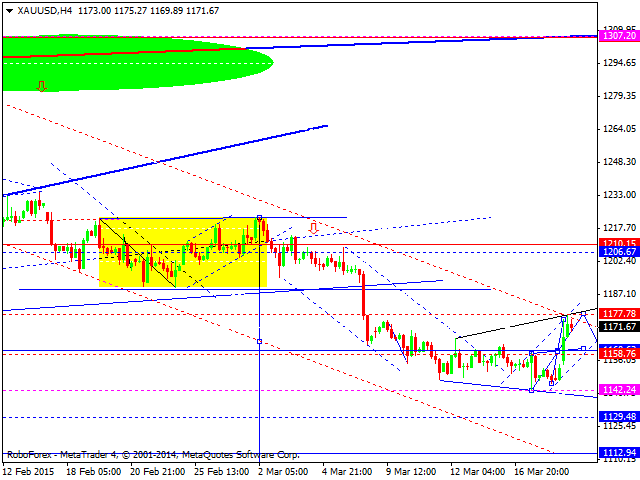 Being influenced by the news, Gold has formed an ascending impulse, which may be considered as a correctional one. Later, in our opinion, the market may continue falling inside the downtrend.